Welcome to ‘The Collected Works of Shinran‘. (Translated, with introductions, glossaries, and reading aids, by Dennis Hirota (Head Translator), Hisao Inagaki, Michio Tokunaga, and Ryushin Uryuzu) As of June 16th, 2001 all texts of Vol. I (Shinran’s Writings) have been uploaded and are ready for viewing. The Glossary of Shin Buddhist Terms which is found in Vol. II (Introductions, Glossaries, and Reading Aids) is presently available from the drop down menu on each page. Many thanks to Rev. Yuho B. Van Parijs for his incredible dedication to input the entire Collected Works of Shinran manually. For further information and copyright issues click here. Shinranworks.com was made possible with the kind permission of the Hongwanji International Center (Kyoto – Japan), through the dedicated effort of Rev. Yuho B. Van Parijs and with the sponsorship of Myoko-in Temple. The Collected Works of Shinran has been designed to present the entire body of Shinran's doctrinal writings in translations that are consistent in method, lucid, and reliable. English versions have been produced drawing on recent research in Buddhist, historical, and religious studies and on the rich tradition of Shin Buddhist scholarship. 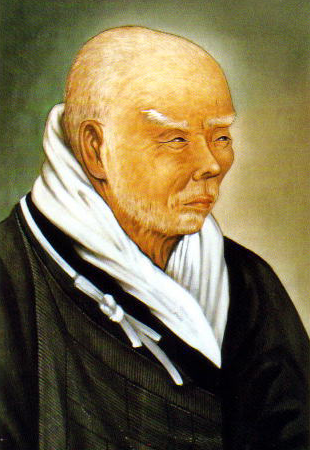 Special attention has been given to rendering Shinran's works with a high degree of literal accuracy, in the hope that the translations might thus serve effectively in guiding readers to an understanding of the core of his thought, the religious transformation termed shinjin. The translations have been closely reviewed by a committee chaired by the General Editor of the Shin Buddhism Translation Series. Professor Yoshifumi Ueda served as General Editor from the start of the Series in 1978 to the year of his death in 1993, at the age of eighty-eight. He contributed formatively and substantially to the policies for translation and to a number of introductions and glossary entries. Professor Gadjin M. Nagao, who has been active in the project since its beginnings, has served as General Editor from 1993 to the present. The review committee, which has met monthly since 1978, at present includes, in addition to the translation staff: Professors Keiwa Ishida, Jitsuen Kakehashi, and Ryusei Takeda. In the past, Professors Ryosetsu Fujiwara, Mitsuyuki Ishida (deceased), Kenryo M. Kumata (deceased), Hakunin Matsuo, Michio Sato, and Shoho Takemura also served on this committee. Throughout the project from its inception, the original drafts of the translations have been prepared by the Head Translator, Dennis Hirota, and then reviewed in weekly meetings with a committee of translators. This committee, which has also contributed to the introductions and other appended materials, at present includes Professors Hisao Inagaki, Michio Tokunaga, and Ryushin Uryuzu. In the past, Professors Taitetsu Unno and Fumimaro Watanabe (deceased) also served on this committee and contributed in particular to deliberations regarding translations of technical terms. Invaluable assistance in the process of publication has been provided by Kimiko Hirota (editorial assistance and proofreading), Masako Sugimoto (proofreading and indexing), Yoshiharu Wake (list of terms), and W.S. Yokoyama (copy editing, book design, and cover).